Do you enjoy writing? Care Leaver? Coram Voice is launching its creative writing competition for care-experienced young people! The children’s rights charity Coram Voice has announced the return of ‘Voices’, the writing competition for care-experienced young people, for a second year. Read more about Do you enjoy writing? Care Leaver? Coram Voice is launching its creative writing competition for care-experienced young people! KARINA Barrett from Abercynon has recently (January, 2017) been appointed as a Recruitment Administrator for an award-winning care company in Rhondda Cynon Taf (RCT). FREE to all Cardiff and Vale Safeguarding Children Board member agency staff and non-profit voluntary agencies working in the Cardiff and Vale region. Are you interested in a PhD in social care? AMERICA AND THE CYNON VALLEY? A few days have now passed now since one of the most divisive presidents in the history of the USA has taken the oath of office, and all of us are still here! Read more about AMERICA AND THE CYNON VALLEY? South Wales Police are appealing for information on the whereabouts of 60-year-old Andy Marley. Read more about South Wales Police are appealing for information on the whereabouts of 60-year-old Andy Marley. THE Stroke Association has launched a Wales-wide campaign aimed at reducing the number of strokes across the country. Thanet District Council has successfully prosecuted the owner of a listed building over the poor condition of the property. Data shows ambulances are reaching more life or death incidents despite an increase in calls. The data links the ambulance service with the wider Welsh healthcare system and targets areas for improvement. Read more about Data shows ambulances are reaching more life or death incidents despite an increase in calls. THE Welsh Ambulance Service is holding a recruitment and awareness day for people interested in making a real difference to their community. The A&E figures for December 2016 in Wales have been published and they do not make pretty reading. Whilst the Labour Health Minister continues to deny that the NHS in Wales is facing any sort of crisis, the figures and feedback from both medical staff and patients tell a different tale. Want to learn more about the most common mistakes made by social care employers when paying their staff? Did you know that you don’t have to vote in person at the next local election, 4th May 2017? Read more about Did you know that you don’t have to vote in person at the next local election, 4th May 2017? Officers from Natural Resources Wales (NRW) are investigating a serious case of illegal tree felling in the Blackwood area. Following on from information AberdareOnline received from a local resident who has concerns regarding the proposed siting and planning application for the new school at Cwmaman. Letter to editor from RNIB's Vice President, Julian Fellowes, about our ‘Sponsor a Talking Book’ campaign. Read more about Letter to editor from RNIB's Vice President, Julian Fellowes, about our ‘Sponsor a Talking Book’ campaign. Nominations are now open for the 2017 Youth Work Excellence Awards! The current exhibition, Attesa, opened with great success at Oriel Q on Saturday 7 January. Read more about The current exhibition, Attesa, opened with great success at Oriel Q on Saturday 7 January. ‘Being There’ means more than just being there! There’s never a good time to be given devastating news, but how much worse is it when there’s no-one around to comfort, support, advise and help when you’ve been told the worse. This was the scenario facing thousands of people with sight loss across Wales until recent years. Read more about ‘Being There’ means more than just being there! A man has been banned from Aberdare Town Centre after continually committing anti-social behaviour. Pupils in 8B1/2 took part in a Cupcake Bake Off competition. There seems to be a lot of controversy regarding changes being made at Aberdare Park with no ongoing consultation with the public of Cynon Valley. A Bognor Regis firm broke the law because it called people registered with the Telephone Preference Service (TPS). A CARE provider that has recently taken on a 10-year framework to care for individuals in Rhondda Cynon Taf (RCT) is looking for new staff to help meet the growing demand for care in the area (January, 2017). AberdareOnline was sent copies of documentation regarding the proposed new school to be constructed in Cwmaman we believe they should be brought to the attention of the local residents who’s children would use the school. Rhydyfelin Councillor a tad upset by Lib Dem getting things done. Read more about Rhydyfelin Councillor a tad upset by Lib Dem getting things done. The Supreme Court will next week hand down a key ruling on the reasonable adjustments which a bus company is required to make to accommodate disabled wheelchair users. Natural Resources Wales (NRW) has refused an environmental permit application for a waste treatment facility in south east Wales. 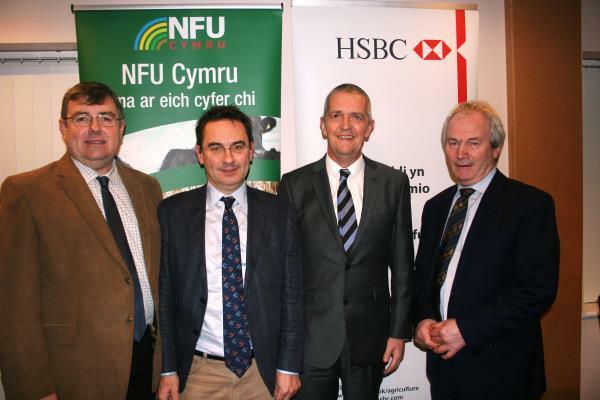 NFU Vice President Guy Smith told NFU Cymru members attending the annual Anglesey County Conference that Brexit presents ‘an opportunity rather than a threat’. NFU Cymru has welcomed the Welsh Government announcement of a £40m small grant scheme in Wales, following extensive lobbying by the Union. Serious road traffic collision on the A465 Heads of the Valleys Road near Hirwaun. South Wales Police are at the scene of a serious road traffic collision on the A465 Heads of the Valleys Road near Hirwaun. Read more about Serious road traffic collision on the A465 Heads of the Valleys Road near Hirwaun. Please find below information below about an event which Children in Wales is advertising on behalf of the Children, Young People and Education Committee of the National Assembly of Wales. Bernard Baldwin was steeped in the athletic scene from childhood. Read more about Bernard Baldwin was steeped in the athletic scene from childhood. She was one of the most controversial X Factor acts on this year's series and now Honey G is coming to show off her skills in Swansea. The female rapper shot to fame on X Factor and now she's been booked to perform at Walkabout in Swansea. Are Wales' disused railway tunnels an untapped resource for tourism? Read more about Are Wales' disused railway tunnels an untapped resource for tourism?